This Ultimate Outback Luxury: Remote Adventure Package was created for an anniversary couple who were returning to Australia. They wanted to experience some of Australia’s most remote outback wilderness, but they were also used to a high standard of luxury. Luckily, even in Australia’s most remote and untouched regions, you can enjoy 5-star luxury with the highest standard of food, wine, and service. They started at Australia’s Top End with 3 nights at Bamurru Plains. This luxurious, safari-style lodge is located just west of Kakadu National Park on the Mary River floodplains. From here, they were able to explore the rugged natural beauty and Aboriginal cultural heritage of Kakadu. They were also able to spend some time in Darwin, the sunny and multicultural capital of the Northern Territory. Next on their Ultimate Outback Luxury: Remote Adventure Package, they boarded a 7-night luxury cruise of the Kimberley region in Western Australia. The Kimberley coastline is truly one of the world’s last great wilderness areas, and their cruise gave them plenty of time to explore this pristine wilderness, go fishing for giant barramundi, and even heli up to the top of waterfalls! The last stop on their Ultimate Outback Luxury: Remote Adventure Package was El Questro Wilderness Park. This remote and beautiful park includes some land that’s never been explored! They arrived via a scenic flight, taking in the famous Bungle Bungle Ranges, and had a few days for hiking, 4WD excursions, and river fishing in El Questro. Their Ultimate Outback Luxury: Remote Adventure Package was the experience of a lifetime. Every day was a breathtaking adventure that seemed too good to be true. They returned home filled with stories from their journeys in remote Australia! Welcome to Darwin! Darwin is the tropical capital of the Northern Territory and gateway to Australia’s largest national park, Kakadu. Enjoy a private transfer to your hotel and enjoy the rest of the day at your leisure. Mix with the locals at the Mindil Beach Sunset markets or the unique seaside eateries of Stokes Hill Wharf. Visit Aboriginal art galleries and museums, explore the historic WWII tunnels, or watch a spectacular sunset over the harbor. Today, it’s off to the unique wilderness of Australia’s Top End. Board a scenic flight to the luxury wilderness lodge Bamurru Plains, your home for the next 3 nights. Here, just to the west of Kakadu National Park on the Mary River floodplains, you’ll find an astonishing array of birds and wildlife right on the doorstep of your luxury bush camp. 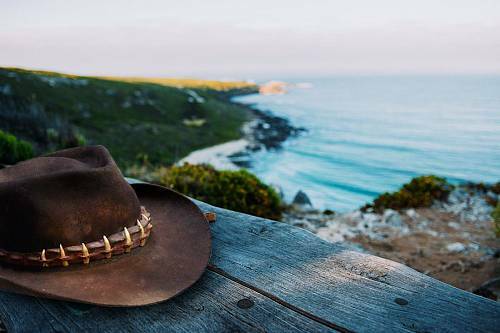 Spend the next 2 days exploring your incredible surroundings, reminiscent of Crocodile Dundee and rugged Australian adventures. Your fabulous bush lodges provides a luxurious retreat between adventures like 4WD safaris and airboat rides through the wetlands. A day trip to Arnhem Land is included in your stay. Arnhem Land is perhaps the only area in Australia where Aboriginal culture is still dominant, despite a long history of interacting with other cultures. A local guide will show you excellent examples of rock art on Injalak Hill (Long Tom Dreaming), an area that has some of the best rock art in the country. The view from the top of the hill is simply breathtaking, looking out around the escarpment and across the floodplain. This afternoon, explore a remote valley, taking in stunning scenery, billabongs, and a place to imagine the life of the Aboriginal people who have been at home here for 50,000 years or more. Take another scenic flight back to Darwin. The day is completely at your leisure to do as little or as much as you like. Today, your private driver will transfer you to the airport for a quick flight to Broome, where you will be transferred to your 7-night adventure cruise aboard the True North. You’ll have time for a cocktail with your fellow adventurers before departing. Dinner is served shortly after leaving port for the overnight cruise to Yampi Sound. The True North has been designed to access wilderness, to go where no other ship can go. Spacious cabins feature modern décor with en-suites, and the ship boasts numerous lavish vantage points, including a sundeck, a forward observation lounge, and an al fresco bar. But, though the True North is renowned for its comfort and style, this cruise is designed to get you off the ship and into remote wilderness as often as possible! Awake to the majestic Kimberley and savor an irresistible True North breakfast as you glide past Cockatoo and Koolan Islands. Then it’s time to take in a Kimberley icon—The Horizontal Falls. Experience the awesome power of the region’s huge tidal range in an exhilarating tender ride, then climb aboard your air-conditioned helicopter for a view of the falls that very few experience! You’ll have hardly had a chance to catch your breath when, for those who can’t wait one minute longer, Leadline Creek will be the first opportunity to land a barra! (A massive barramundi fish, for those who aren’t familiar.) 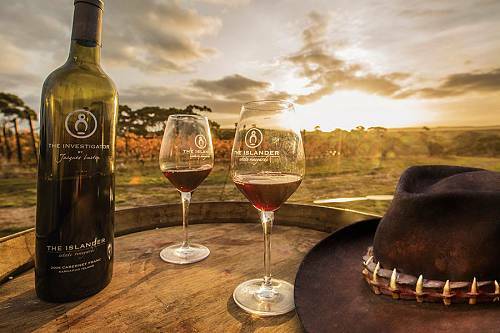 Before you know it, your first day onboard will be coming to an end—but there’s still time to select a fine wine and enjoy a leisurely evening meal as you cruise to Doubtful Bay. This morning is devoted to exploring the Sale River. Fish the mouth for barra, then join naturalists and adventurers alike as you ride the tide on a classic river expedition! Enjoy a swim in your very own billabong before returning to the ultimate comfort of the True North. Then, visit another Kimberley icon: Montgomery Reef. Montgomery is a unique ecosystem that must be seen to be believed, and you’ll have the privilege of seeing it from above on a scenic helicopter flight. Water cascades from the reef as the tide falls, exposing a rare glimpse of another world. Watch in awe as 140 square miles of coral reef rises out of the ocean right before your very eyes! Turtles, dugongs, manta rays, and every imaginable sea creature abound in these waters, and the helicopter puts all in perspective. As the True North graces the majestic Price Regent River, the scenery will astound, and you’ll explore some fishing spots that are not to be missed. At Kings Cascades, the ship will maneuver right underneath the impressive falls. Then it’s time for more adventures, with a chance to stretch the laces on your hiking boots and an opportunity to swim in another picture-perfect billabong. If you thought the Regent was good, wait till you see the Hunter River! With stunning red cliffs set behind rainforest and mangroves, the Hunter River is yet another awesome setting for fishing, mud crabbing, bird watching, and simply exploring. It’s only a short hike to Jackson Falls, and there’s even more splendor to see from the helicopter! Enjoy a sunset drink on Naturaliste Island before you embark on an overnight cruise to Vansittart Bay. Today, there will be an opportunity to see the famed Bradshaw rock paintings—possibly the oldest art known to man. Then, fly in a helicopter to the top of Eagle Falls for an epic picnic. Hop in one of the tenders to explore local beaches and creeks. This evening, you’ll cruise to Koolama Bay. Today, explore yet another mighty Kimberley river: The King George! As soon as the tide is high enough, you’ll cross the sand bars at the mouth to reveal breathtaking vistas. Journey upstream to the jewel of the river, the King George Falls. Anchor at the base of the Twin Falls, where you will find endless places to explore. Climb, or take the helicopter, to the top of the falls for a cruise highlight. Just the thought of leaving this magnificence will inspire mutiny! Visit Koolama Bay and learn about the bombing of a state-ship during WWII, then take a stroll at Tranquil Bay before you continue onto the frontier port of Wyndham. Say goodbye to the True North this morning as you take a coach transfer to Kununurra. From here, a scenic flight over the awe-inspiring Bungle Bungle Ranges takes you to your luxury accommodations at El Questro Homestead. Nestled within the Kimberley’s vast and ancient landscape and hidden among burnt-orange cliffs and lush, green lawns, El Questro Homestead is a pocket of luxurious exclusivity where you’re encouraged to make yourself at home. The next 2 days are yours to spend at leisure in the beautiful El Questro Wilderness Park. There are many ways to discover this ancient land, and you’re free to choose whether to take to the skies, head out on foot, 4WD, or cruise along its waterways. From the air, you can fly over the Cockburn Ranges past waterfalls and salt-flats, or you may want to pull on your hiking boots and hike El Questro’s many rugged gorges and cliffs. If your sense of adventure needs a day off, then head to some of El Questro’s watering holes, hot springs, and waterfalls, where you can do nothing but relax and unwind. Today brings your incredible Australian adventure to an end. Enjoy a 4WD transfer through the ruggedly beautiful Kimberley scenery to Kununurra, where you’ll begin your journey home.